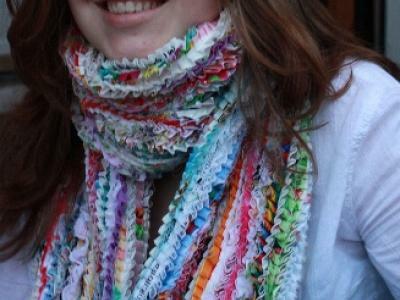 Ruffled Infinity Scarf: What a neat easy way to whip up a scarf. 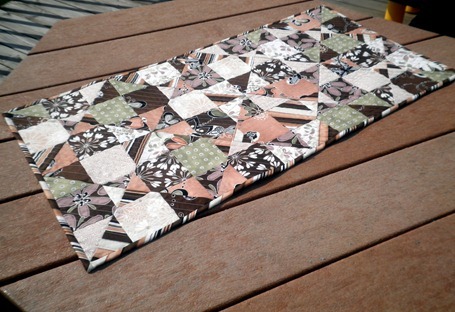 Thanks for sharing your tutorial Terra. 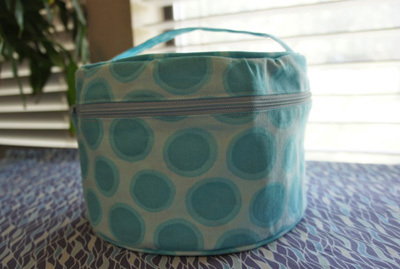 Pink Penguin: Tutorial: Lunch Bag: A cute drawstring bag to carry your lunch in or whatever else takes your fancy. Where the Orchids Grow. 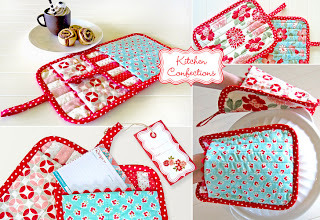 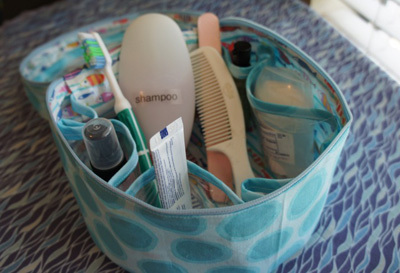 : Flex frame pouch tutorial: scrappy hexagons made up into a flex frame purse/pouch. 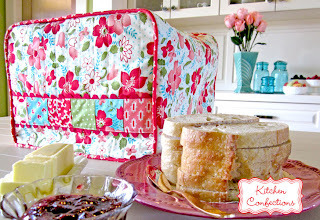 Another quick tutorial from Film In The Fridge - Quartered Squares - a modified Bento Box block. 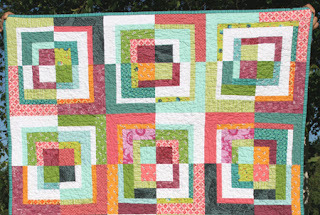 Rectangle Squared quilt block tutorial by Film In The Fridge. 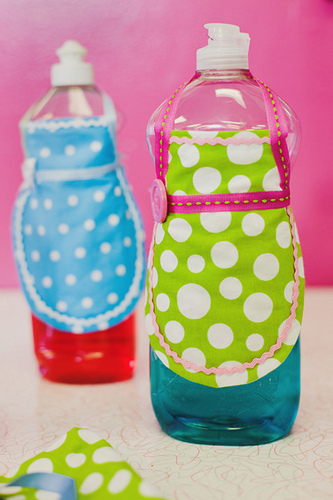 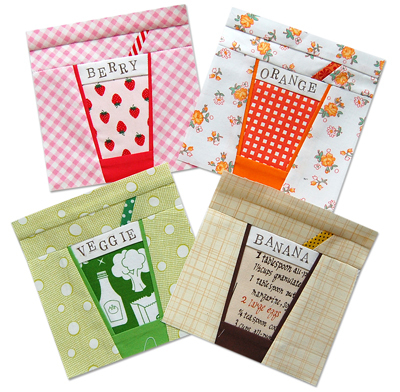 Mini Soap Bottle Aprons - how cute!! 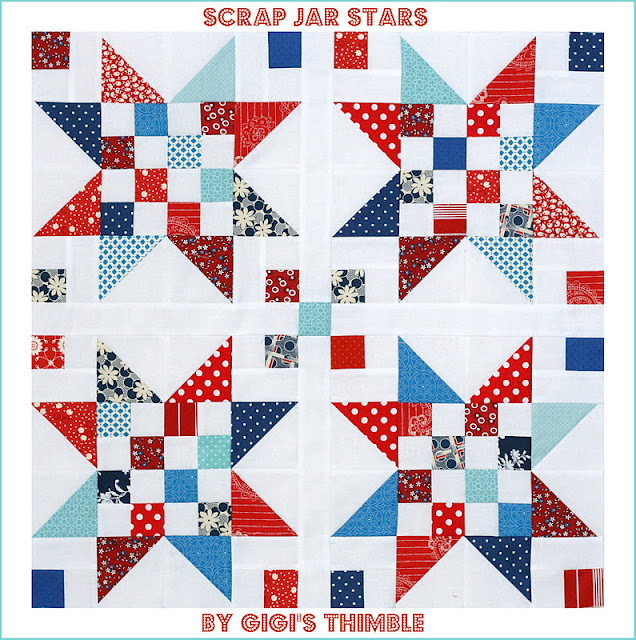 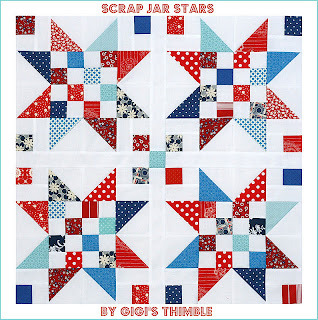 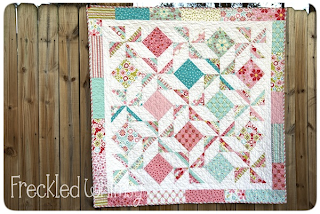 Amber from A Little Bit Biased shares her tutorial on how she makes her scrappy star blocks into a great looking quilt. 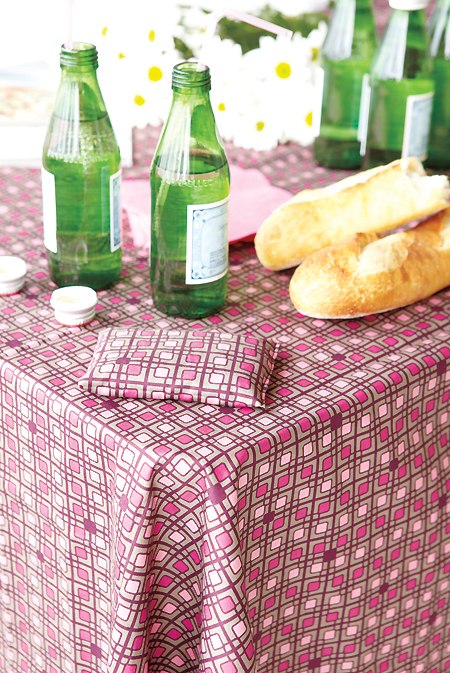 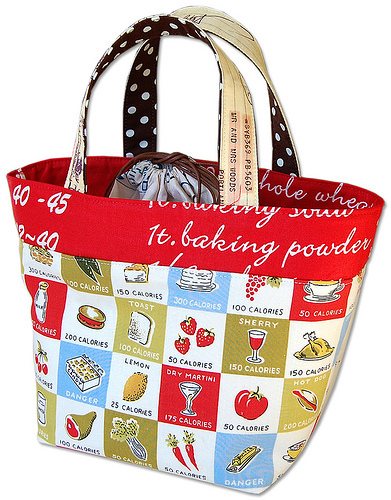 Organize everything you need for your picnic with this cute tote bag that unfolds into a outdoor tablecloth. 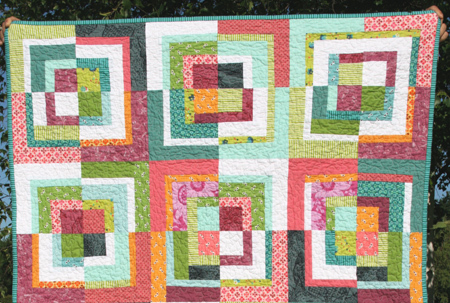 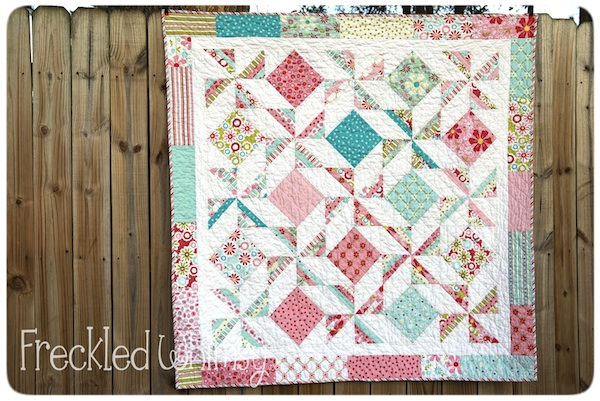 This pinwheel block looks great made up into this quilt shared by Karrie of Freckled Whimsy. A cute pincushion shared by Brooke from Silly Mama Quilts. 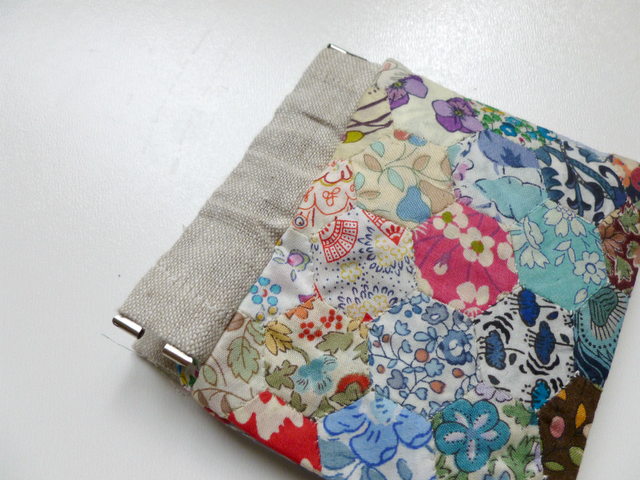 DIY - Bias Tape Maker: MeiJo's Joy shares her recent discovery when she came across a bias tape maker in Susie Can Stitch by simply using a craft cutting blade instead of a specific brought bias tape binding tool. 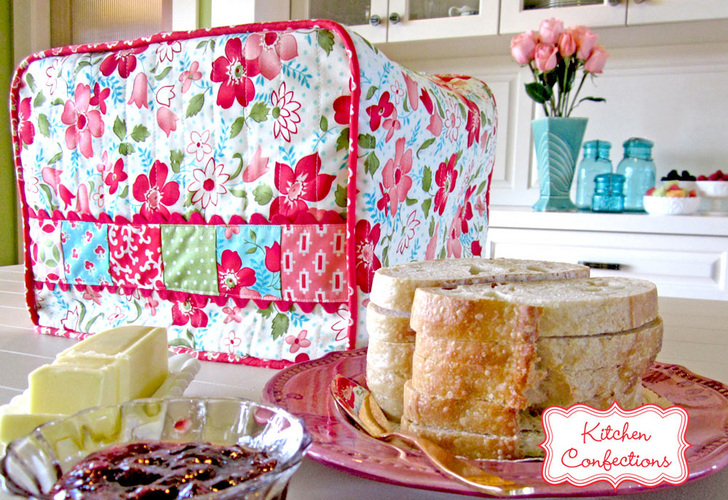 Singer Sewing shares a great way to use your fabric scraps to make this adorable (and warm!) scarf in mere minutes. 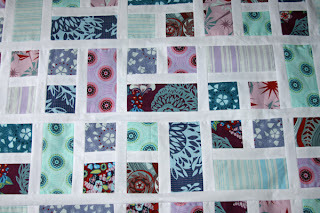 Persimon Dreams shows how she made her table runner called Spinning Nines using nine patch blocks. Looks great! 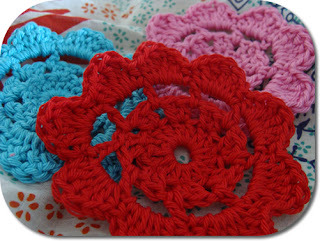 Happy in Red: :Crocheted flowers. Joyfoolery: Tutorial: Ruffled Bucket Hat from a T-shirt: Stop! 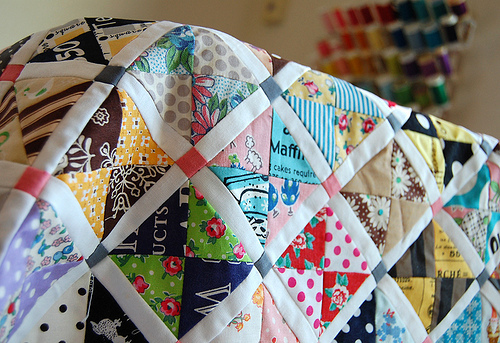 Don't throw out those old t-shirts or cardi's. Pop them in your sewing pile instead. 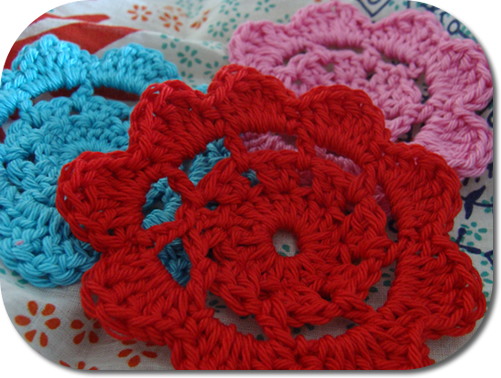 They can be used for so many different projects.